At the end of the last post I said I was off to the opening of Creative Fibre Experience Exhibition in Hamilton. I have been walking around with a smile for two weeks having been rung to be told I'd won the Design Award kindly sponsored by Gisler Architects of Te Awamutu. 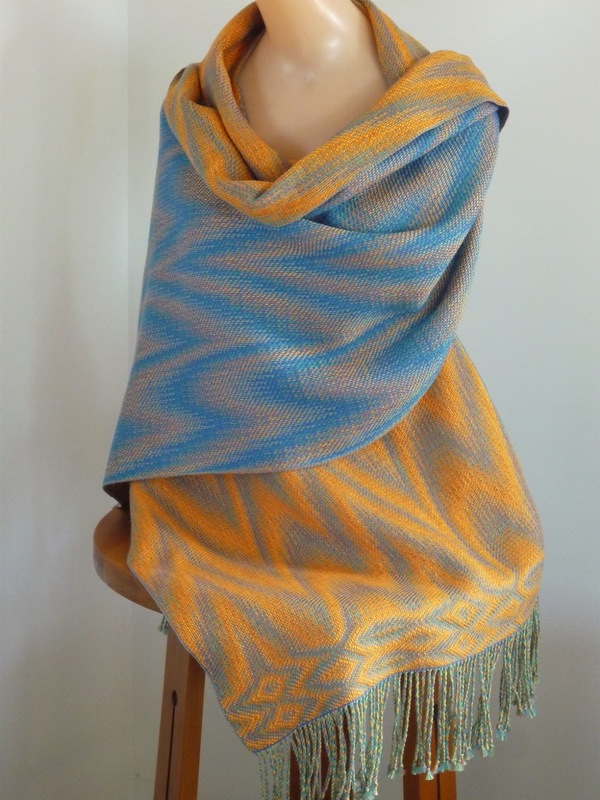 Its the first weaving award I've earned at a national level so doubly delighted. Apparently I clinched it with the border at top and bottom. As I said to the audience last year it differentiates the article from a length of fabric with tassels to a designed garment. Peter had his camera and took many shots of the exhibition but it'll take a while for them to be developed from RAW. 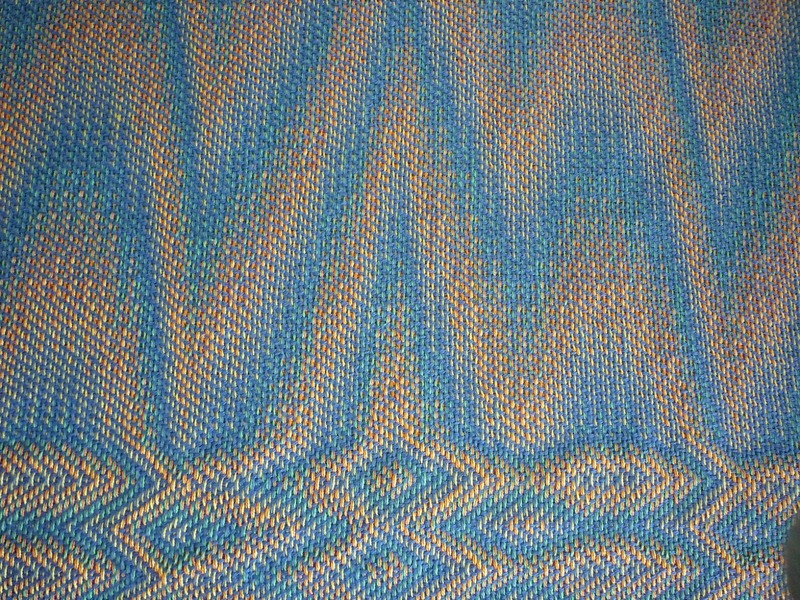 A comment from a recent post was ....the whole idea of putting my weaving out there scares me witless! I've always thought that though there can only be one winner for each award it takes many entries to make an exhibition worthy of an audience, to make it worthwhile for the many volunteers who work real hard to make it happen, to make it viable for the sponsors, to make it worthwhile for viewers to travel often many hours to get to and from the exhibition. I work to the best of my ability and if the magic is there I enter it. I will add that I'd paid the entry fee for another piece to be entered but, a. it wasn't finished in time and b. to do it in a hurry it wasn't going to be as good as I new it should be. I do hope Creative Fibre is going to continue to support and finance this wonderful Experience Exhibition as it is a great window to the Society.